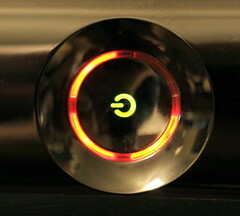 My Xbox displayed the infamous "Red Ring of Death" last night while I was trying to get Puzzle Quest 2 off of Xbox Live... annoyingly it died during the download, instead of before I paid for the game... where otherwise I could purchase the Nintendo DS version of the game with a clear conscious. Alas. According to Amazon, I purchased the Halo 3 Special Edition Xbox 360 on October 3rd 2007... so its life was tragically cut short a mere four months from its third birthday... which would have put it out of the extended warranty that still covers hardware failure. So that's convenient timing I guess (plus we'll be leaving for a week long vacation a week from Friday). While I have been jealously eying the new Xbox, I'd rather be able to eBay my old one first to subsidize the upgrade. I've already contacted customer support online... which required registering the Xbox first, then filling out a quick description of the problem. Apparently I'm on the hook for the basic repair fee ($100) if they get it and it doesn't RRoD, since the standard warranty is long since out of date. I guess in the past they would ship you a box with a return shipping label, but nowadays they just pay for shipping and you provide the box/bubble wrap... and either have to drop it off at a UPS store or have your regular guy pick it up. I've got to see if I can scavenge a box and packing materials at work, but luckily there is a UPS store across the street from me, so dropping it in the mail shouldn't be a problem.